I am looking to stop a wage garnishment. I was not notified prior to the week it was taken out. I could not dispute it at all .I would like to speak with a lawyer regarding this matter. Hi Richard, thanks for reaching out, we will contact you asap! Hi Mindy, an attorney will email you shortly to discuss your options! 2. How long would it take after filing exemption would you hear anything from anyone? Hi Maria, thanks for contacting us, we’ll have an attorney reach out immediately to discuss your options! Thank you for your inquiry, we’ll have a Florida wage garnishment attorney contact you asap for a free consultation. Best of luck! I’m probably going to sound like everyone else, but I just received a notice about garnishment from a case that is dated 2007 that I knew nothing about and they’ve garnished my wages for 25%. I’m the only one working right now and I can’t afford that much. Nor do I think it’s fair to have to file for a hearing after I’m being garnished and having to pay to get it notarized. Is there any way to stop this or at least reach out to someone to get this lowered? I can’t afford this. I”m being sued for a computer I’ve never had. Hi Mary, a Florida wage garnishment attorney will contact you asap to discuss your situation, thank you for your inquiry! I would like to speak with a wage garnishment attorney. I have a judgment from my condo assosciation for HOA fees. Hi Norman, a Florida wage garnishment attorney will contact you shortly to discuss, we appreciate your inquiry! Left Puerto Rico with a car debt. The car was surrender, now wondering if they can sue me and garnish my check? Also, have an online account in another state. Would the garnishing laws of that state be in order because that is where they are located or would Florida garnishing law apply to that account because this state is my resident. Please note they only have branches in that state. Look forward to your reply. Hi Al and thanks for your inquiry, and Florida wage garnishment attorney will reach out to you shortly! Hi, I have paid 300 a month credit card company garnishment for 3 years. The debt collection agency that started the garnishment has sold the debt to another debt collection agency last August and my employer says the garnishment money has been in limbo since that time. The initial debt collection agency will not take the money and the new debt collection agency will not take the money either. I want to know if there is anyway for me to stop the garnish and receive the money back that is in limbo. Thanks for reaching out, a Florida wage garnishment attorney will be in contact shortly to discuss! Hi, my salary is currently being garnished and I can’t afford these payments I can barely make ends meet. Is there a way they can lower this garnishment. Hi Ingrid, Thank you for contacting us we will have a Florida wage garnishment attorney reach out to you asap! Hi there, I hope you can help us. We recently refinanced our home to get out of a previous bad mortgage and to make much needed repairs on our home. I have recently just returned to the workforce as I have been out of work for 3 years after having a stroke. My husband has previously been the main provider for our family. Today we received a notification from our bank that they had our monies we received from our house refinancing on hold because of a garnishment from a past old debt of my husband. We never received any type of notice from the court, nor this creditor. We really need to be able to access the monies to begin making repairs on our home. Is there anything we can do? Please let me know if you can help for refer us to someone who can. Please and thank you! If you can fill out the Free Case review form on https://www.floridalegaladvice.com/, we can contact you asap, in this comment section we only have your email address so it will be tougher to contact you if the email goes into the spam or junk folders. I did speak to the attorney and he is going to email you shortly as well. I am in the middle of a 2 year long dissolution of marriage with minor child case and have a lawyer. She suggested I contact an attorney to assist me in this matter. My wages will be garnished for 25% starting next week, for cars my soon to be ex and I jointly owned. His was repossessed. Mine was a voluntary repossession. I believe his wages are being garnished as well. I filed head of household for the past 2 tax years- can I claim the exemption and stop my wages from being garnished? Waiting for the family law judge to separate our cars, making him responsible for one, and me responsible for the other. Currently, both our names are on both cars, and neither of us is in possession of either vehicles anymore. Thank you!! Hi Lucy, thank you for your inquiry a Florida Wage Garnishment Attorney will contact you to go over your options, thanks! I didn’t realize that social security benefits could help you stop a wage garnishment from occurring. Having a good lawyer who you could stay in touch with would be a good idea if you are working on something like this. That way you could present a case to defend yourself from this kind of thing and help you to save some money. I never took into account that we can also include our extended family as dependents. My mother, being the head of the household, also takes care of her siblings aside from us. This is a very useful information for her. Thanks for the help! Already garnished my checking account.took everything out..served a notice in 2014. I never,saw it..husband signed …he is now deceased and I pay all the bills which i can barely survive..was so shocked to see they wiped out my checking account leaving Me notthing .spoke with my friends attorney who said call and set up payments ….it was an old credit card from 2004 that I stopped using and paying on back then 14 years ago.was told I could do nothing else ..the card was a $5000.amount and now they want $10,000.00 paid back…interest ,penalties ect…was told can’t fight this…bankruptcy next if need be, but own some property up north..can’t sell that over night …. Hi Carolyn, Thank you so much for your inquiry. An attorney will reach out to you in order to discuss your options. I need to stop or reduce a wage garnishment. Please help. Hi Brittany, one of our Attorneys will reach out to you shortly. Thank you for your inquiry! If you’d like to be contact by phone please fill out our free case review form on the home page. Fell behind and High Interest Creditors are threatening to garnish my wages. I am a single mom head of household and cant get ahead. I have enrolled in a debt settlement agreement and they are taking over 370 out a month to settle my 4 debts but the creditors are calling everyone and threatening me. Can they take my payroll? How can I stop this. I make good money but I didn’t then and to catch up is impossible now. Do I just file bankruptcy? Hi Mary and thanks for your inquiry! We will have a Florida Wage Garnishment Attorney contact you asap! Was just garnished a large amount of money I am the head of household and can not afford this. I am at work today till 5:00 PM my normal schedule is 11:00 AM to 8:00 PM so can not receive calls. Please email me any information or call after 5:00 PM today. Hi Carmen, a Florida wage garnishment attorney should have contacted you by now, thank you for your inquiry! Im totally lost, I wasnt informed about this until the day i got paid and i was missing 240 dollars from my check .. Please someone reach out to me!! 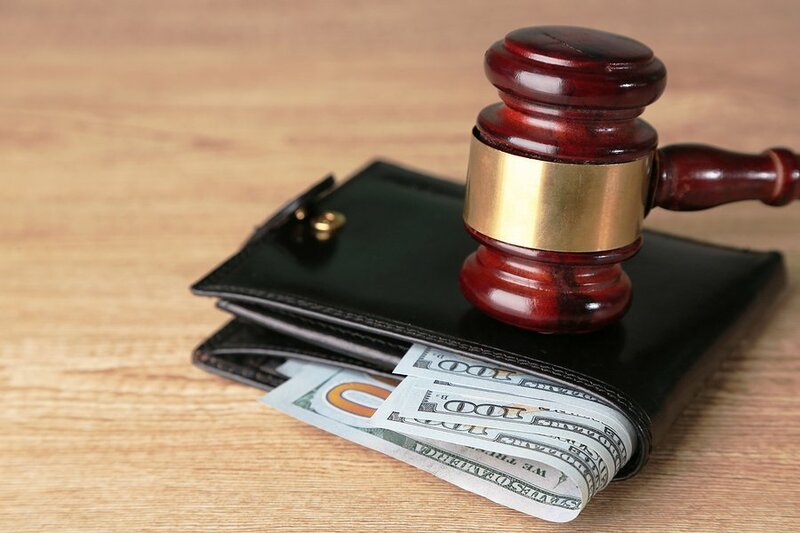 Hi There, we will have a Florida wage garnishment attorney reach out to the email you provided, for a quicker response please call 800-990-7763 asap! Thanks! I currently have 15% of my wages garnished for student loan debt. I let it go for 6 months and now I have a letter stating that they want a tax offset if I don’t make payments in addition to the $420 a month they take out each month. How can I get these garnishments stopped since and I am the head of household with the only income. Hi Wallace and thank you for reaching out! We will have a Florida wage garnishment attorney contact you asap to discuss at the email address you provided. Hi! My wages are being garnished and my kids are really suffering! Please help ASAP! Creditor began garnishing wages, filled out exemption but idk where to mail it. I feel like I am over my head. Need help. Bankruptcy is a viable option. Please contact me.